In a recent interview with Yahoo! Japan, Sega Games COO Kenji Matsubara got chins wagging by pointing out that the Japanese giant is considering releasing a new console in Japan - but it's not quite what you think, or what some other sites have reported, either. Matsubara is in fact talking about importing the AtGames Sega Mega Drive / Genesis Flashback to Japanese shores, a licensed console which comes pre-loaded with 85 games and is capable of accepting original Mega Drive and Genesis cartridges. We are considering importing and selling the ‘Sega Genesis Flashback’,… [it] is built-in game software primarily sold in North America & Europe. The catch is that the "System on a Chip" approach used by AtGames results in poor quality emulation; we recently tested the latest iteration of the company's portable Mega Drive and came away pretty crushed by the whole experience. We've since been told by an AtGames representative that the company is working on improving overall performance. Sega can't be blamed for wanting a piece of the retro action - Nintendo has scored two amazing hits with the NES and SNES Classics, after all - but it really needs to take the project by the horns and handle production itself, because we can't imagine many Japanese fans will be at all impressed with the performance of AtGames' current Sega-based products. Are there people out there who would even want sega to make consoles again? How did people think this guy was saying that they were returning to the console market? If it were guaranteed that Sega getting back into the console making game results in a return to form (consistently) with Sonic and the return of some dormant IPs, I would gladly welcome a new Sega console. @Mince-Pie Sorry but that is never gonna happen but only in your dreams, get over it! 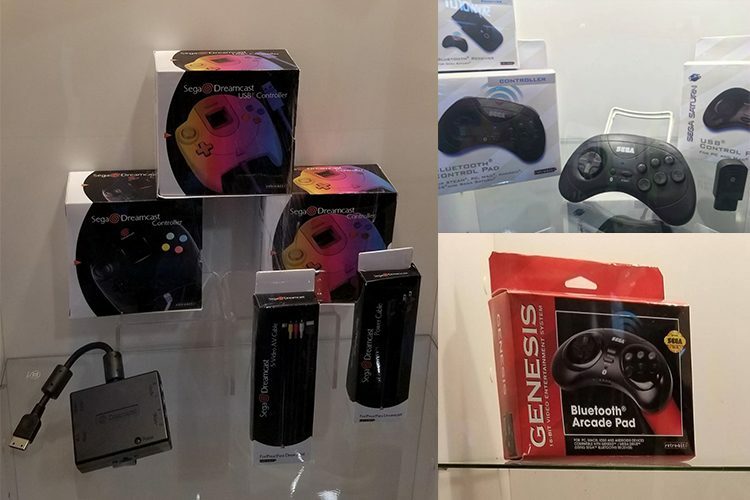 Somehow I personally wouldn't hold your breath on AtGames making an improved portable Sega Genesis/Mega Drive but then again AtGames really is nothing more than an awful cash grabby company that only blind retro gaming hipster freaks and blind nostalgia gaming freaks pretty much defend. If you thought Sega was going to start making consoles again you're a fool. @tamantayoshi I and I suppose many others would actually trade with no second thoughts Microsoft's participation in the console market for a revival of sega. Sony is undoubtedly already hard on the first party and exclusives to rival nintendo, but microsoft still pales in front of both, sega would have no problem competing in questions of quality, like it did in the golden age. FPGA system, or we RIIIIIIOOOOOOT! @Mince-Pie Yeah and I personally apologize for being pissed of at you for no reason at all but I personally just can't stand it when people beg for Sega to release another because ito me it should be common sense by this point that even Sega themselves have basically stated in 2005 that a new console from them was and still is never gonna happen. @tamantayoshi Some people like to think that if they got back into consoles, they'd immediately be right back to how good they were doing with the Genesis (when that probably couldn't be any further from what would actually happen). Years ago I wouldn’t have minded. The Dreamcast was way ahead of its time and it had solid exclusives to boot, let down only by Sega’s mismanagement and financial situations due to failures with the 32x, Mega CD and Saturn. As a Sega fan myself I have to admit that the market doesn't have room for 4 companies, it has been true since Dreamcast got discontinued. It wasn't the reason of Sega's fall, but it is the reason why it couldn't be back even by a miraculous shift in their way to do things. Heck, you have two consoles offering the same kind of performance and games and it worked equally on PS3-360 generation, but in a world ruled by Sony and its marketing... not anymore. What fool would see a way for Sega to sneak in? There's room for one graphics-based console (as an Xbox owner and fan I have to acknowledge it after the happy parenthesis of last-gen) and for one innovative product, usually being brought by Nintendo. In the handheld market it has been proved that there is space for one system only, and it's the revolutionary one. As much as I'd like to see a new Sega system, putting the logic aside, I think Sega should focus on resurrecting its great IPs the right way and making good classics compilations. Yea they need to address the emulation problem then I’ll make a purchase! Nintendo should just buy out Sega. It would give them more big exclusive, they could support their back catalogue better and obviously, put out a high quality 3D Sonic game that the fans might actually enjoy. Nintendo would also get a huge amount of Sega arcade games and their continued production, and Yakuza would also be added as an adult game to the Big N stable. Sega seems to sell the most on Nintendo’s systems anyways, so why not? Just musing here, but it seems like it be a great fit. Sega have never made anything particularly great. Quirky, stylish, and so-bad-it’s-good, but little more. The people who would be excited by a new home console by Sega still haven’t realised that Blast Processing never actually existed. Xbox already replaced Sega as the white trash gaming company of choice anyway. VF6 SEGA, that's all I want. It's all I NEEEEED. DOOOOOO ITTTTTTT! @Agent721 If Nintendo thought it was worth buying Sega, they would. But they know that Sega is a rotten brand. @Agent721 At least if Nintendo bought them out they would likely continue VF so that they could have a ready made franchise in the traditional FG space. But alas I'm stuck sounding like an addict...and lapping up any morsel that SEGA tosses us. Tell us how you really feel! LoL!!! Seems like it would be a resurrection for many franchises. I doubt it will ever happen, Nintendo is extremely conservative and only seems to take risks via new products rather than brand purchases. We’ll just keep waiting for those Sega faucets to drip out the goods. Def. I have a lot of the 3DS 3D remakes and enjoy them quite a bit. I bet they get moved to the Switch at some point....but I must say they look great in 3D. There are 17,000 mega drive emulators on the market and NOW Sega think it's a good idea for a piece of the market? I for one would be there on day one, no questions asked. Then again, I didn't believed for one second that they were creating a new system. @Agent721 Don’t get me wrong, I like a lot of Sega games. But nowadays, they’re struggling hard. Nintendo also don’t need Sega- why pay for Sega to produce games, when Sega will produce them and release them on Switch anyway? After all, Nintendo aren’t a charity for has-been games developers. And really, this is the best you're going to get in regards to a new SEGA console. They're not the giant they once were, it would cost the publisher way too much in R+D and making it to create. They should probably go into business with one of the better clone console makers and create some sort of "Dreamcast HD" that has built in DC and other games, will gladly accept your DC discs, and some sort of digital store where you can buy digital DC and other games. There's already near 20 years of indie games created for Dreamcast, you can create a program to let those dedicated programmers jump onboard and sell their DC games on the digital store. Its not Dreamcast 2, but honestly its the best you'll probably ever get. I think Nintendo could use a bit of its magic to resurrect some long dead Sega franchises, and having Atlus on board would add in many desireable games as well. Just think last year’s Game of the Year discussion involved Persona V, an Atlus made game exclusive to the PS4. Why not bring that great JRPG on board, along with the entire franchise? Definitely not charity as Nintendo is a company to make money for its shareholders, but it’s interesting to think about none the less. It’s frustrating, as a Sega fan, to see the company be so willing to crap all over their own 16-bit legacy by allowing AT Games to keep releasing, cheaply made, poorly emulated hardware. There is no reason why they couldn’t release this themselves, and give it the attention that it deserves. @BanjoPickles Hear, hear. I second that. @Agent721 It would be nice if Sega had a revival, or rebirth. Maybe some ambitious new management. Feels like they are circling a drain right now. @UmbreonsPapa I get what you are saying, but Nintendo have their own great IPs to work on, as you pointed out. If Nintendo bought Sega, who exactly would be benefiting? Financially, Sega doesn’t do big numbers. It doesn’t make sense in terms of business. Let Sega pay for their own games- and hire more skilled and ambitious developers. Sega seem more destined for the pachinko machine aisle, tbh. @ThanosReXXX Dreamcast controller alone was a nightmare of conflicting design. Having the connection lead on the bottom of the controller? I mean, what the hell?? Nintendo lucked out that they had a handheld market they could run to or else they would be making games for all consoles too. @richyque Luck had nothing to do with it. That’s like saying that all successful companies made it on ‘luck’. The Game Boy, NES and SNES didn’t fall out the sky, you know. the japanese must be needing plastic door stops as thats all this piece of garbage is worth. every at games product is just garbage. @HappyMaskedGuy Nintendo left the console market just like sega, but nintendo has the handheld fanbase to fall back on the sega did not have. Where were you guys when wii u needed you?? playing 3ds is the answer. @HappyMaskedGuy Yeah, that was kind of weird, and seems like somebody messed up, but other than that, I had (and still have, as a very happy Dreamcast owner) no problems with the rest of the controller. Back then, twin analog sticks and so on weren't as standard as they are now, and for me, the controller worked perfectly for all the games that were released for the system. @Moroboshi876 The handheld market can have more. The PSP sold 80+ million units. By no means is that a failure, despite the DS selling 150+ million. Yes they didn't win, but the PSP still sold well. The PSVita was completely mishandled. No marketing, proprietary memory cards that were extremely expensive, lack of exclusives and support from Sony itself, lack of support from other developers, all of these contributed to the Vita's failure. The 3DS on the other hand, Nintendo managed to save after screwing up the launch. No market is impenetrable. Lets not forget that Sony's entry into the home console market was unthinkable with Nintendo's and Sega's dominance at the time, as was Microsoft's with the OG Xbox. I just want Sakura Wars localized. I loved the 5th one. Also bring back Billy Hatcher. As for the actual news, It's cool that they are covering their bases with this release. Even if its bad emulation, someone will still enjoy it. I am sick of Genesis emulators, though. Where's the lousy Dreamcast emulator? @TheMadPolarBear Yes, you're right about the PSP, but anyway the handheld with great graphics is nowadays covered by the Switch, which also does great in home consoles market with its hybrid nature. So I don't see Sega re-entering the handheld market either. @GamingDude800 woah now, throwin’ around the word hipster and freaks... easy, tiger... EASY! @DeathUriel genuinely surprised that in no point since the Dreamcast has Microsoft tried to buy Sega. They have the money it would provide instant exclusives and recognisable brands and would help Microsoft get a foothold in the Japanese market. I'm not saying I hope they would just surprised they haven't. @richyque I played, and loved my Wii U, you monster! @ThanosReXXX I have about 5 Dreamcast controllers still unwrapped in their original packaging. Had a bit of a Dreamcast ‘moment’ a few years back. A cool console, no doubt. AtGames to Japan? Whatever happened to Retro-Bit Sega? Sammy sounds familiar like those previous century "arcades" is it? I would love to see Square Enix make a new Sonic. What is an AM Team? I hate how SEGA "wants" to do things the lazy way these days. I wasn't a SEGA follower back in the 16 bit days, but that SEGA had far more pride and dignity. Why race to the bottom? If it ever had the right minds behind it, Sega could totally be revived as a console brand in a big money-making way, I think. But I'm under no delusions. It'll never happen I'm sure. So I'm in the process of gathering an original Sega Genesis collection (and their other consoles). AtGames's consoles are trash and I ain't havin' it. Sega should do nothing less than pull the license from AtGames and give it to a company who can actually build a good Genesis/Megadrive clone. If AtGames hasn't come up with one by now, there is little to no chance that they ever will. Nintendo just buy Sega out already, I mean they only have sonic so how much is the hedgehog worth? @Qun_Mang yeah you have a point, I owned an Atgames portable that could take megadrive carts and it was poorly built, games didn't run properly and the sound was off. Sold it on eBay for a massive profit though! SEGA is hereby banned from making any future statements regarding anything. Are Sega not aware what an appalling product it actually is!?? @bluemage1989 As far as I know they actually tried more than once since the first xbox's days... I believe the problem in doing that is this weird law that a japanese company cannot be bought by an outsider. @DeathUriel I did not know that sounds like one of those interesting 'what ifs' had the law been different. @N64SNESU Yeah because making Sega games exclusive to Nintendo platforms and having Nintendo making Sega's IPs like Sonic worse than what they already are know would be a great idea right?! I know it's naive, but it would be heartening if there were even a chance that Nintendo could collaborate on a Sega Megadrive/Genesis Mini using using Nintendo's careful, accurate approach to emulation. Sega continues to undermine the value of their IP by letting AtGames continue to produce subpar hardware and poorly-emulated games. Nintendo could assist and receive a portion of the returns and Sega could have a really hot retro console that would finally have the quality gamers want. 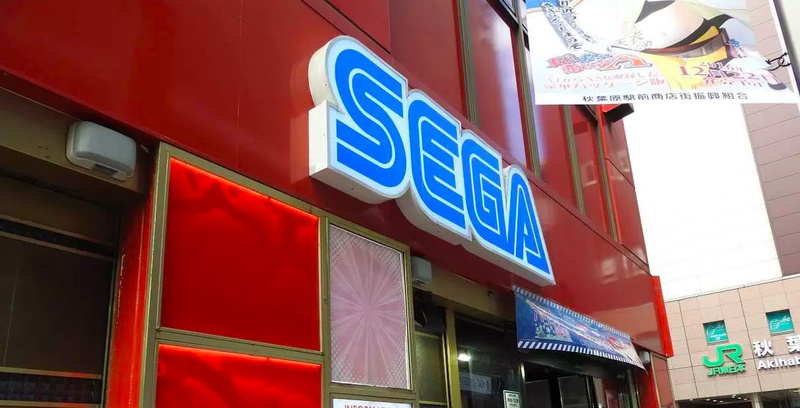 Sega should make their own equivalent to the AtGames Flashback for the Japanese instead of selling the literal same Sega Flashback consoles that they sell here. @CrazyOtto Except Sega's Dreamcast console was such a flop in the sales department to the point where it almost completely killed them so because of that I don't personally think that Sega wants to make another console ever again. -revoke the license from AT Games. -Test the waters by releasing an authentic, miniaturized replica of the Sega Genesis/Mega Drive. -ditch the completely gratuitous, waste of space shovelware that clogs up the back half of the library. -Speaking of library, Sega should go the Nintendo route and work with third parties to add to the selection. Just as the NES Classic has Mega Man and Castlevania, and SNES Classic had Final Fantasy III and Contra III, the Sega Mini could have games like Mega Bomberman, Castlevania: Bloodlines, Contra: Hard Corps. Maybe they could even work put a deal with EA to include Road Rash II, Skitchin, and Jungle Strike! Don't kid yourselves, IF Sega were to re-enter the console market there are MILLIONS of Sega fans from back in the day that would probably cry tears of joy and line up to buy one. Think about the strength of their IP - both current and lapsed/dormant IP. IF all of a sudden a new Sega system launched with ALL of that IP exclusive to the console and you couldn't play it anywhere else? Gold! Imagine resurrecting Golden Axe, Streets of Rage, Phantasy Star, Shinobi, Ecco the Dolphin, Panzer Dragoon, and many more alongside Bayonetta, Yakuza, Sonic, Shenmue etc? Honestly it's a license to print money if only a multi-billion dollar corporation would buy them out and do it! I'm a huge Sega fan, and I would love for them to come back to the console market, but it's changed a lot since 2001 when they left and they are just not the same company they once where back then. As for doing the retro thing, I would love for Sega to make their own and release them. The Atgames ones are ok, but they seem cheap, and come with way too much shovelware games. It would be a real treat for the fans if Sega did this for them. I've always hoped for Nintendo to buy out Sega, I think that would make a awesome partnership! Not really sure how Sega hasn't released their own Mega-Mini at this point - it doesn't seem like it would be that hard to do so. And lol, no way Sega would get back into modern consoles at this point. Their games are already spread out on every other platform! They have to end so many licensing deals, they'd lose FAR more money than they would make! There is no returning from 3rd party status. Unfortunately, Sega doesn't have high standards regarding the performance of their products. Sega will make another home console as soon as 3DO does. Eh. As much as I love Sega, I think that you may be overestimating their influence in the hardware realm. With the exception of the Mega Drive (which didn’t even sell all that well in Japan), Sega has never really had a console that sold like gangbusters. In fact, almost every major console they’ve released, with the exception of the MD, sold in the ballpark of 10 million apiece! That’s really not that great. Honestly, I thought that the most sure-fire hit they released was Dreamcast, and it floundered. About the only crappy system in Sega's lineup in the 32X, and even Nintendo has their stinkers, namely the Virtual Boy and the Wii U. The Dreamcast and Saturn were better systems then the Wii U. There, I said it. Not a SEGA fan, though i play MaiMai Milk Arcade sometimes at my local Game Arcade TimeZone. The Only SEGA games that i owned are just Mario & Sonic at Sochi 2014 Wii U & Puyo Puyo Tetris Switch. Edit: As i know MaiMai Milk used Moe girls in hope can attract (Male) gamers, i felt SEGA exploited girls too much. I wasn't attracted / impressed by Moe looking of Maid girls, it was quite annoying for me, but the songs on MaiMai Milk was quite interesting, especially the Ex-Bemani artist such as Jimmy Weckl, Hideyuki Ono, etc. Yeesh, seems they're still bad at choosing what to toss Sega rep behind.....Atgames' horrible retro console. While it'll never happen under the current Sega, a number of things could change. Atari is releasing a console in 2018, anything is possible lol. The SEGA Flashbacks have super iffy emulation, it's a shame they can't just hand it over to the NES Mini people. @tamantayoshi Yes. I think an actual Sega bulit Megad drive mini would be amazing. @Caryslan As I have already pointed out, I actually do like Sega. I own a Genesis, Saturn, and a Dreamcast, with an embarrassing number of accessories! I do like Sega. But they aren’t a ‘great’ games company. They have had great moments, but they can’t seem to achieve it anywhere near consistently enough. Though my Dreamcast stopped working a few months back- need to get it fixed. I'd love another Sega console, the Dreamcast is one of the best consoles ever made and was years ahead of it's time. I remember being blown away when it came out and that is probably the last time that has happened in the console space. I've been replaying mine recently and can't quite believe this launched in the days of N64 and PS1, unfortunately this was the time when many gamers lost their imagination and just wanted the latest FIFA or shooting game when the PS2 hit. I still play mine to this day and it has some truly all time great games on the system such as Rez, Skies of Arcadia, Soul Calibur, Resident Evil Code Veronica, House of The Dead 2, Shenmue and Virtua Tennis is still the best tennis game I've ever played. It also had some limited second screen functionality using the VMU and online gaming long before it became the norm and with mouse and keyboard support. Yes who ever is at the helm is definatly not the right person. Time for change. @Caryslan Oh, and the Saturn definitely, definitely was NOT a better console than the N64. @ThanosReXXX Yes the Dreamcast was an almost perfect console made by a company clearly in complete turmoil and with no idea how to fix itself. The internal fighting between Sega of America and Japan during the 32bit era and poor marketing from Sega Europe meant it was doomed long before it came out, in retrospect. But people forget what a runaway success the initial launch of the console was, and how many amazing games there were on the system. Sadly it was just never going to be able to compete once PS2 launched - especially with no marketing money left, and no DVD playback, probably the only major mistake in the actual hardware design. Much as they were massive mis-steps and in hindsight it is obvious the mistakes made, I really love the Mega CD, 32X and Saturn. I've also got a new appreciation for the Game Gear recently after getting it modded with a McWill screen. The Pico even had its place and did some cool stuff. The only consoles that seem a complete 100% waste of resources for them were the Nomad and Wondermega, and the unreleased Neptune... but they are still beautiful bits of kit that part of me loves. But yeah, it none of this had existed and they just went Master System -> Megadrive -> Dreamcast and kept their arcade devision business as usual, they'd probably still be making consoles today, perhaps the Xbox range would have been joint projects with Sega and Microsoft. Painful to think that Sega were offered the option of having both the PSX and N64 hardware and turned them down in favour of the Saturn architecture. Seeing Sony rise and the N64 taking 2nd place must have been pretty awful if you worked at Sega in 95-97. @HappyMaskedGuy That depends on your genre and tastes, but its completely possible to argue. I love the N64, bought it on launch day. Mario 64, Mario Kart, Zelda, Wave Race, Starfox 64 and the Rare titles are some of my favourite games ever, with Mario 64 vying for the top spot. I love the design of the console, love the weird but cool joypad. But overall, for me the Saturn library beats out the N64 by a long shot, as long as you include import titles. Its 2D and 3D fighters, shmups, "actual car" racers, lightgun shooters, RPGs, arcade conversions, retro collections and more were leagues ahead of the N64, and perhaps even the PSX. For FPS games they were fairly evenly matched, depending on tastes: Goldeneye/Perfect Dark/Doom 64 vs Quake/Duke 3D/Exhumed. I'd say Saturn for single player, N64 for multiplayer. The only real areas where N64 library had Saturn flat out beaten no questions asked imo were 3D platformers (Mario/Banjo) / adventures (Zelda) and multiplayer stuff like Mario Kart and party games. But even then, Saturn had good title like Tomb Raider and Croc for platformers and Saturn Bomberman for multiplayer nights in. Also I'd argue Nights is probably reason enough to own a Saturn by itself. I wanted to get one of these but then I read all the poor reviews. So I'll stick with the Nintendo Classics systems. Hopefully we'll be getting word of an N64 Classic soon (and please, with Rare support)!! Also, I'm really hoping we learn of a Virtual Console service for Switch at E3 this year. But although I can understand from a marketing point of view, I personally never really understood the drive (no pun intended) behind having a DVD/Bluray in a game console as a sort of an obligatory industry standard. I have never missed it in any of my consoles, and in the ones that do have it, I've only ever used it once or twice, mostly just to try it out. And sure, it can come in handy in some households, but in general, I truly hate convergence, unless it's done with top of the line material, and consoles were never that, and never will be. A dedicated DVD/Bluray player of a good brand will always be multiple times better than these built-in drives, and the number (and the quality) of the connections on the back of a game console has actually only equaled dedicated playback devices since this generation. And more importantly: if the drive goes, then you've lost both your game console AND your movie player, whereas with separate devices, you'll never have to face such problems. @ThanosReXXX I completely agree on a personal level, I never cared if my games console played DVDs as I always had a superior separate device. And the PS2 was (initially and in PAL regions at least) a pretty poor excuse for a DVD player. BUT at the time of launch, the PS2 was actually cheaper than most dedicated players, and in Japan especially (where they also care about space saving) this gave it a huge edge - basically until there was a "killer app" system selling game (which we both know took at least a year) many people bought it as a DVD player which would also play their old PS1 games. The backwards compatibility was a huge draw also if course, being the stellar library, and cheap prices of PS1 games. People could sell their PSX and offset the cost, and get a super cheap DVD player, which was also future proof as it would be compatible with PS2 games once decent titles started to appear. Me personally I didn't feel the system was worth getting until it had Gran Turismo 3, GTA 3, and SSX Tricky. Thinking about it though, maybe my stance has changed slightly, as in my mancave (which has the biggest and best TV in the house... at 87" my wife thinks its "too big" for the lounge) I don't have a dedicated DVD/Blu-Ray player... I just use my PS4 Pro, which does a really good job. Seems to upscale well, has no issues with Multi-Region, and will even play 4K Blu-Ray I believe... although I don't have any of those yet to test it with. yo dawg i heard you like pictures so i put pictures on top of pictures so you can see pictures. @samuelvictor Yeah, I know the why of the whole PS2 story, and as I said, I understand it to some degree, but for me, it has always been about dedicated devices. One device that does all, generally doesn't do any of these things more than averagely well. Not too surprising, of course, seeing as having to place more than one device in a fixed shell, takes away from (the power/capabilities of) any of the other devices. Luckily, in game consoles, media playback is more of an afterthought nowadays, especially since most media is now offered digitally. Another thing that makes it less attractive for me, is having to power up a game console to play a movie (and I don't like using a controller as a remote control), especially since I already have a perfectly fine Bluray player/recorder (from LG), that also upscales every DVD. No 4K, though, but seeing as I have no 4K TV either, that's not such a big deal, if any. @samuelvictor Oh, don't get me wrong, and although I can't speak for any Sony device/console (since I don't have any, as you know), from my own experience with both the Xbox 360 and the Xbox One S I can totally agree with you on them doing a decent enough job, and I'd reckon the PS4 is more or less comparable. (although I did read that the Xbox One contains a superior Blu-ray drive, which is actually quite crazy, considering Sony should have had that advantage, also being in the movie/media business, but whatever), but besides me not wanting to have to start up a console to watch a movie, and having to use my controller as a remote for playback, I also wouldn't like being disturbed by friends noticing that I'm online. So, all in all too much hassle for me to be enjoying a movie on a game console. It just doesn't feel natural/organic enough to me, if you catch my drift, so I'll just stick to my 'real' Blu-ray player. And I don't have to place devices all around the house either. My house isn't that big, so just a living room, kitchen, bathroom and two bedrooms. And I don't game or watch TV in my bedroom. Lol, if Sega were to make another console, then their only be a button and stick, you know for recent Sonic titles. I'm in the camp that thinks Sega should reside with other consoles. I think they should devote time towards trying to repair their franchises, like, you know, Sonic, before even considering stepping back into the console game. @BanjoPickles While you're technically correct in the sense that from a sheer sales perspective the Genesis was the one and only major success Sega ever had hardware-wise, there are still enough Sega fanboys around the world who loved the Saturn and Dreamcast as well as the Genesis for them to be successful again in the home console space. I could see Sega easily selling 30 million units, but in a 4-horse race (as it would be IF they were to climb back into the ring), that would make them last place (assuming the Switch keeps up it's current sales pace). So the likelihood they'll ever do it is slim to none though so it's really pointless to argue it. As for the value of their IPs while it's true that ONLY one of them (Sonic) has true, world-wide brand-recognition like Nintendo's Mario, Zelda, Donkey Kong, Pokemon etc, I still think there's value in some of their long-dormant IP's if the right developer were to resurrect/modernize them. @tamantayoshi I'd want Sega to make another console. I began gaming on Atari and the NES but didn't really get into gaming till the Genesis came out. I owned every console Sega ever released (still do) and they made some great systems. Dreamcast will always be in my top 3 consoles of all time. @GamingDude800 Look, we all know SEGA will probably never return to the console market. No need to be all smug about it.